Dr. Joseph Habis is the Medical Director for the Meritage ACO, and has held the title since its inception in January 2013. Dr. Habis also serves as Chair for the Meritage ACO Care Management & Quality Improvement Committees. Dr. Habis is also a practicing Internal Medicine physician in Terra Linda and the Medical Director and CEO of Prima Medical Group. 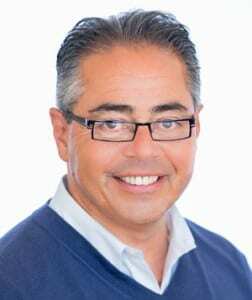 Prior to Meritage, Dr. Habis was the Medical Director for Health Care Connections at the Gamble Foundation, and the Medical Director for Personalized Health Plan at St. Helena Hospital. He was the Chairman of the School Health Committee for the Napa County Medical Society, and Coach Member for the Napa County Medical Society. Dr. Habis earned his medical degree from U.C. Davis in 1990. While a medical student, Dr. Habis organized several health programs for health-practitioner students and residents in Ecuador and was a founding board member of the organization Child Family Health International in 1992.